Mother’s Day is a special occasion for every mother the world over. While we love our moms round the year, the day celebrates motherhood at its best. If you want to have a great time this Mother’s Day, then why not pick a new Mother’s Day movie to watch with your family. In this way, you would be able to tell your mom how much you love her and have a memorable time with your family as well. We have come up with a handpicked list of the best Mother’s Day films that you can watch this year. If your mom is a fan of Bollywood movies, then why not celebrate this year while binge-watching some of these amazing old and new Mother’s Day film. While it has been a while since K3G was released, it is still considered as the top-most Mother’s Day movie. Released in 2001, the movie is all about family ties and how far we can go for our loved ones. The portrayal of a caring mother by Jaya Bachchan is both heartbreaking and warm. Taare Zameen Par is a coming of an age story of a dyslexic boy, who gets abandoned by his parents. Tisca Chopra has played the role of Ishaan’s mother. While she stays helpless in the first half of the movie, she gradually comes around to help her kid. The movie also features the heartfelt song “Maa”. When we think of a timeless Mother’s Day film, we can’t complete our list without Mother India. This classic starred Nargis Dutt in a lead role. While the story is pretty tragic, it depicts all the struggles a mother can go through for her kids in an emotional way. Paa is unlike any other happy Mother’s Day movie that you can see. The movie starred Amitabh Bachchan in a lead role. He portrayed the role of Auro, a child suffering from genetic disorders. Vidya Balan has portrayed the role of his mother with an effortless charm. If you are looking for a Mother’s Day 2018 film, then we would recommend this Vidya Balan starring film. It is the story of a housewife who became a radio jockey. As the movie progresses, Sulu finds it hard to juggle her personal and professional life. In the end, she has to pick between her job and her family. Needless to say, every modern working mom can relate to the story. Tehzeeb explores the relationship between a mother and her daughter in a thoughtful manner. Shabana Azmi has portrayed the role of a working woman while Urmila Matondkar is the carefree child who wants to be on her own. Maatr was released in 2017 and was considered a comeback for Raveena Tandon. The movie will let you know how far a mother can go for her kids. While it is not an emotional flick like other movies, it is certainly worth a watch. If you are a fan of Sridevi, then you should not miss this one out. Mom marked the 300 th project of Sridevi and her last major role before her demise. As the name suggests, the story revolves around the struggle of a mom and all the adversities she faced for her kids. Sridevi also got a National Award for her role. Kya Kehna could have been out a while back, but it is still the first pick for Mother’s Day movie releases. Preity Zinta won over critics and her audience with her heartfelt portrayal of a young mother. The movie talked about a sensitive subject in a thoughtful manner. We can’t conclude our list without mentioning this emotional and critically acclaimed movie. Directed by Mahesh Bhatt, it involved big names in the cast like Ajay Devgn, Pooja Bhatt, Sonali Bendre, Kunal Khemu and Nagarjuna. The movie narrates the story of a struggling mother and how she raised her kids against all odds. Watch all these Mother’s Day movies free of cost on Snaptube. 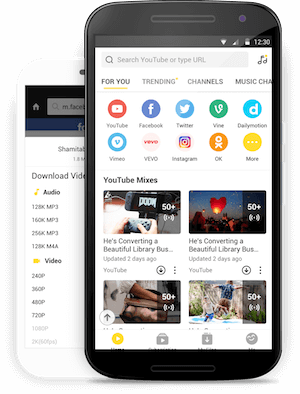 This freely available Android app has integrated tons of video sharing and hosting platforms together. 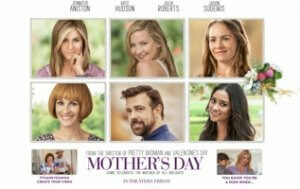 Therefore, you can easily find the Mother’s Day movie of your choice without investing a lot of time. The app features a fast-loading player that supports the streaming of HD content. You can find the movies of all genres and in different languages as well. The app comes with tons of other features that will certainly change the way you use your smartphone.